Multiple health behaviours (not smoking, minimal alcohol consumption, and maintaining a healthy weight by having a healthy diet and regular physical activity) improve quality of life and longevity of cancer survivors. Despite international guidelines, there are no existing reviews that synthesise cancer survivors’ adherence to healthy lifestyle recommendations. Five databases (Embase, MEDLINE, PsycINFO, Web of Science, and Google Scholar) were searched for relevant articles published from 2007 until January 2018. Studies reporting adult cancer survivors’ adherence to at least two lifestyle behaviours (body mass index, physical activity, smoking, fruit and vegetable intake, fiber intake, red meat intake, caloric intake, sodium intake, and alcohol consumption) based on the World Cancer Research Fund/American Institute for Cancer Research (WCRF/AICR) recommendations were included in the review. The pooled prevalence of adherence to single and multiple behaviours was calculated using a random-effects model. Subgroup analysis (mean years of survival and publication year) was undertaken. A total of 3322 articles were identified. Of these, 51 studies matched the inclusion criteria, presenting data from 2,620,586 adult cancer survivors. Adherence to single behaviours, which was estimated from studies that assessed at least two health behaviours, was highest for not smoking (PE 87%; 95% CI, 85%, 88%) and low or no alcohol intake (PE 83%; 95% CI, 81%, 86%), and lowest for fiber intake (PE 31%; 95% CI, 21%, 40%). Adherence to multiple healthy behaviours (13 studies), ranged from 7 to 40% (pooled estimate (PE) 23%; 95% CI, 17%, 30%). 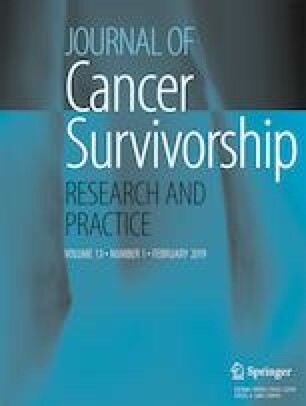 Recent survivors (< 5-year survival time) had relatively better adherence to multiple behaviours (PE 31%; 95% CI, 27%, 35%) than long-term (> 5 years) survivors (PE 25%; 95% CI, 14%, 36%). Adherence to multiple behaviours improved over time since 2007. Adherence to physical activity, dietary, and multiple lifestyle behaviours recommendations was low amongst cancer survivors. Recent cancer survivors were relatively more adherent to WCRF/AICR recommendations compared to long-term survivors. Health promotion programs help support healthy lifestyle behaviours of cancer survivors. The online version of this article ( https://doi.org/10.1007/s11764-019-00754-0) contains supplementary material, which is available to authorized users. DNT was supported by a University of Newcastle PhD scholarship. The author thanks Ms. Debbie Booth for her support during the development of search strategies and Dr. Tanmay Bagade, Mr. Tenwa Yimer, and Mr. Girmay Kiross for their support during the screening of the articles. Ethical approval is not required because of the review nature of the research. This article does not contain any studies with animals performed by any of the authors. National Heart Lung Blood Institute (NHLBI). Quality Assessment Tool for Observational Cohort and Cross-Sectional Studies [https://www.nhlbi.nih.gov/health-topics/study-quality-assessment-tools]. Stephenson LE, Gwyn DG, Reimer RA, Nicole SN: Physical activity and diet behaviour in colorectal cancer patients receiving chemotherapy: associations with quality of life. BMC Gastroenterol. 2009;9(60). https://doi.org/10.1186/1471-230X-9-60.